I am not going to get into my feelings about our current administration’s bewildering behavior directed at our allies at this weekend’s G7 summit in Canada. Nor will I go into its almost subservient posture towards the Putin regime except to say that it seems odd that a country with the largest– by a staggeringly wide margin– military and economy in the world should be exhibiting such fealty and an almost loving devotion to the leader of a country with only the 11th largest economy in the world, a country that has repeatedly and brazenly attempted to disrupt the economy and social order of this and a number of other countries, including an attack with lethal nerve agents in the homeland of our closest ally. Love knows no bounds, I guess. Or maybe Russian word for bromance is kompromat. 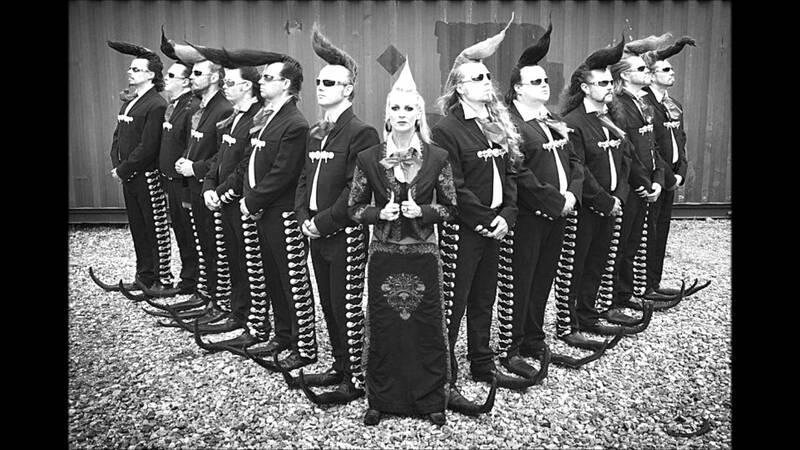 So for this Sunday morning’s music I thought an appropriate song might be a rendition of the classic song from the Turtles, Happy Together, performed by the Finnish band, the Leningrad Cowboys, accompanied by the Red Army Choir. As some of you may recall, the Red Army Choir was involved in a terrible plane crash in 2016 where 64 of its members were killed while en route to entertain Russian troops in Syria. The choir was reformed in 2017. Anyway, have a good day. Dasvidaniya, comrades!